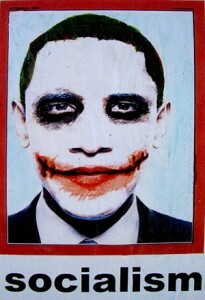 [T]he photo sharing website Flickr removed the Obama Joker picture that was later transformed into posters showing up in cities around the country. At the time, Flickr claimed it had acted on advice of counsel due to legal issues involving copyright infringement. Yet, according to Thomas Hawk, none of the conceivably interested parties filed a complaint with Flickr . . .
Community Manager Heather Champ (in a Help Forum thread that has subsequently been shut down) . . . told Flickr users that the reason why the image was removed was that someone filed a DMCA request to take it down. . . .
[N]ow PDN is saying that they have contacted spokespeople at TIME Magazine, DC Comics, and the photographer who took the original image for Time Magazine, Platon, and all are denying having filed a DMCA takedown notice against this image. Apparently the photographer Platon’s office wasn’t even aware of the Obama/Joker issue.ow PDN is saying that they have contacted spokespeople at TIME Magazine, DC Comics, and the photographer who took the original image for Time Magazine, Platon, and all are denying having filed a DMCA takedown notice against this image. 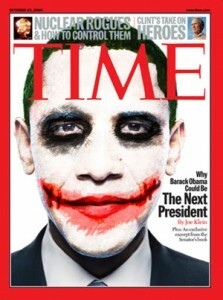 Apparently the photographer Platon’s office wasn’t even aware of the Obama/Joker issue. As one would think the only parties with a possible copyright issue are Time, DC Comix, and the photographer, and these three apparently didn’t submit a DMCA notice, Flickr either acted on its own to take down a picture it didn’t like or management is protecting the identity of the complainant. Regardless of which is the case, it appears Flickr is engaging in its own form of political censorship by either acting unilaterally or complying with the wishes of a party possessing no legal right to the picture in question. It doesn’t “appear” that way to me. It appears to me that Flickr was acting prudently because, indeed, there are “legal issues involving copyright infringement.” Like the previous Obama-image flaps, they could go either way, but why on earth should Flickr / Yahoo take the bullet? Is it possible that Flickr, or someone at Flickr, fibbed, or flubbed, about a DMCA complaint? Sure. It’s also possible that someone at TIME Magazine or DC Comics, or the photographer, isn’t reporting the whole truth either. 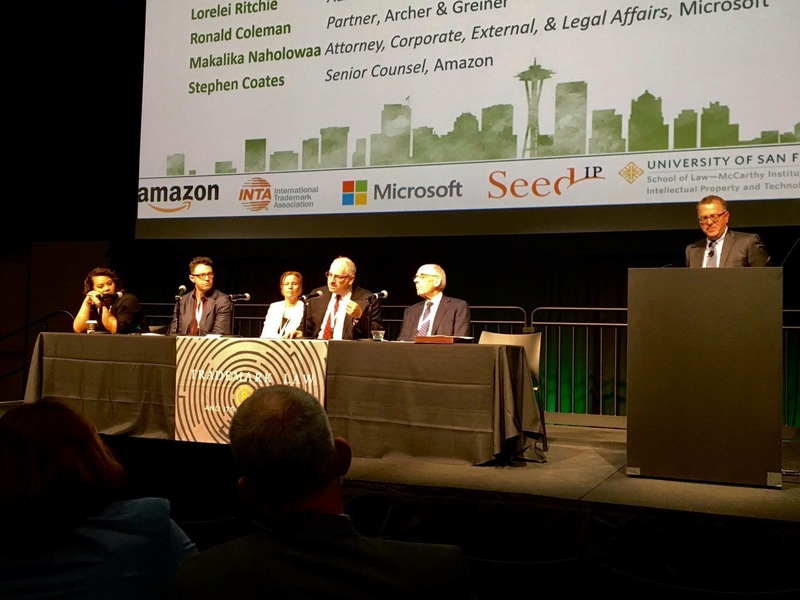 What if it wasn’t a DMCA takedown notice, but it was a cease and desist letter? Or a phone call? Or a note tied to a brick? Whatever it was, I don’t see censorship (even “corporate censorship”; we all know Flickr can pull whatever it wants from its private service) here — the pic is out there, and it’s not going back into the bottle. Flickr’s hosting of it is nothing but rolling exposure. When you’re a hammer, you know, everything looks like a nail. Noel Sheppard, I guess, is the “left-wing conspiracy” kind of hammer. He’s not wrong when it comes to the hardly equal press treatment and “outrage” over this show of disrespect to the President. But me, I’m the “responsible stewardship of private commercial interests in light of a non-trivial threat of copyright infringement liablity” kind of hammer, I suppose, and I have my own biases. But biased as I am, I can hardly imagine a more komical kause for konstitutional or kopyright koncern. I agree there could be facts here that are not being disclosed. And if it not Flickr has the right to decide want it wants to publish. However, they should not make up claims.